Our groups and our churches must be the arenas where Jesus' upside-down kingdom comes to life. [Jesus said,]"For even the Son of Man did not come to be served, but to serve, and to give his life as a ransom for many" (Mark 10:45). We shouldn't be surprised if we have read the stories that precede this one. On his last trip to Jerusalem, Jesus didn't ride into the Holy City on a white conqueror's stallion while the mob cheered his arrival. Instead, as the crowd cried, "Hail to the King of Israel!" (John 12:13 NLT), Jesus entered riding the foal of a donkey. He didn't come as a conqueror but as God's servant (Isaiah 42:1-4; 53:1-12). He didn't come to take the throne by force but to give his life as a ransom for all people (Mark 10:45). 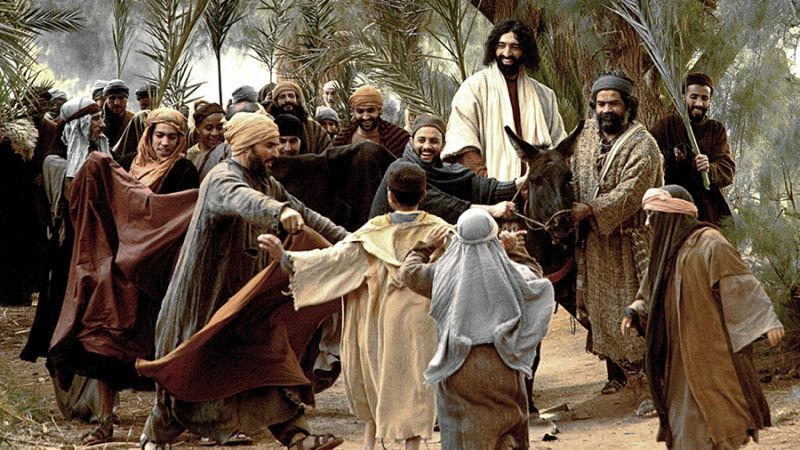 No, we shouldn't be surprised when we read about Jesus' triumphal entry into Jerusalem. The Lord had told the people repeatedly that in his kingdom the last would be first (Matthew 19:30), the least would be the greatest (Luke 9:48), and the lost would be found (Luke 15:6, 9, 24). In his famous "Sermon on the Mount," Jesus called the poor in spirit... those who mourn... the meek... those who hunger and thirst for righteousness... the merciful... the pure in heart... the peacemakers... and those who are persecuted for righteousness (Matthew 5:3-10). Jesus came to build the upside-down kingdom of grace. 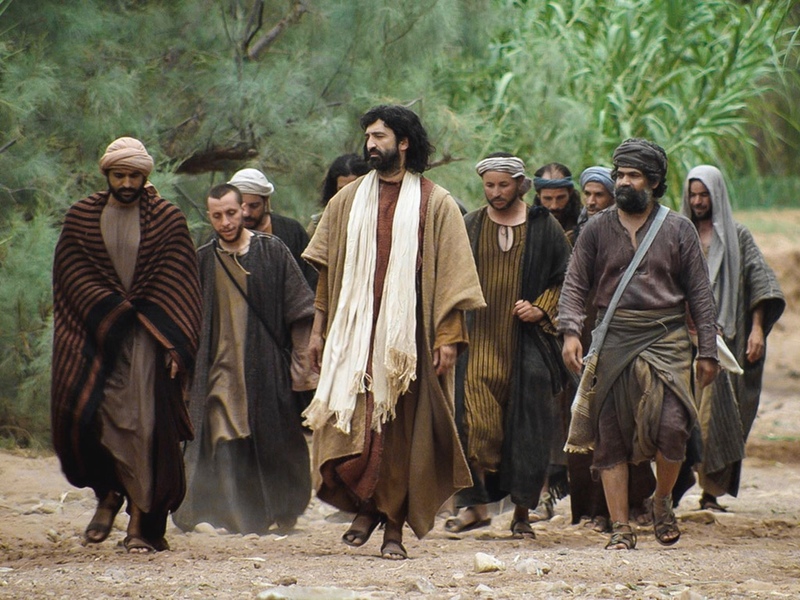 The ragamuffin lot that Jesus called to be his apostles reflected his commitment to building this upside-down kingdom — a group made up of fishermen, a hated and outcast tax collector, a zealot (who would have hated the tax collector), a short guy nicknamed "The Less," and a bunch of other "no-name" guys from Galilee. 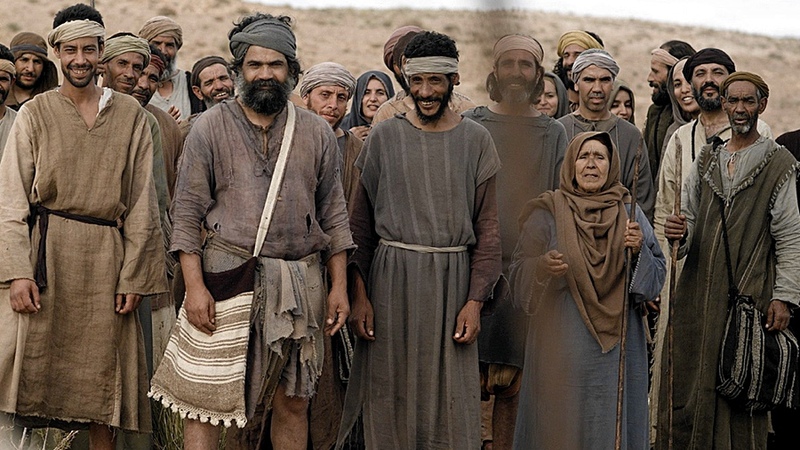 Yes, the people he served included the important people of his time — teachers of the Law, Pharisees, Sadducees, members of the Jewish ruling council (the Sanhedrin), along with the Roman governor, Pontius Pilate, King Herod of the Jews, and the High Priest's family, Annas and Caiaphas. However, Jesus was more frequently found in the company of the everyday riff raff commoners — people like the Samaritan woman at the well, sinners from the cities, those who were blind, those afflicted with leprosy, those who couldn't walk, many who suffered all sorts of diseases, and the demon-oppressed. The left-out crowd of his day was welcomed into Jesus' presence whether they were poor, children, or women — whether they were a foreigner, a widow, or an orphan. The ragamuffin lot that Jesus called to be his apostles reflected his commitment to building this upside-down kingdom. We live in a time when public discourse has turned increasingly nasty. Our heroes in our games, stories, and movies are strong men and women who use violence to secure their victories. We are surrounded by a culture where status is a must, wealth matters more than ever, and notoriety is everything. Jesus calls us to build his upside-down kingdom in this world. Jesus calls us to live the principles of his upside-down kingdom in our daily lives. Our groups and our churches must be the arenas where Jesus' upside-down kingdom comes to life. If we dare associate ourselves with the name of Jesus, then we must put our hearts and lives where our Lord did. After all, any student, when he or she is fully informed and developed, must become like her or his teacher (Luke 6:40). So, let's choose to treat people as Jesus did. Let's make the upside-down kingdom real in our lives, today! For the Lord your God is God of gods and Lord of lords, the great God, mighty and awesome, who shows no partiality and accepts no bribes. He defends the cause of the fatherless and the widow and loves the foreigner residing among you, giving them food and clothing. And you are to love those who are foreigners, for you yourselves were foreigners in Egypt (Deuteronomy 10:17-19). "Upside-Down Kingdom" by Phil Ware is licensed under a Creative Commons License. Heartlight encourages you to share this material with others in church bulletins, personal emails, and other non-commercial uses. Please see our Usage Guidelines for more information.